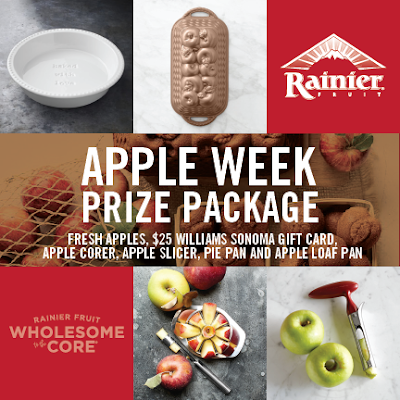 How’ve you been enjoying #AppleWeek so far? Have you seen the sheer number of yummy recipes going live this week? It’s been an awesome mix of sweet, savory, and plenty more that are a beautiful blend of the two. We’ve tried to bring you a fair mix, with hopefully a little something for everyone. Apples are a great snack all by themselves. Shoot- slice ’em up and sere them with a slab of peanut butter, and my kids think they’re eating the greatest snack ever imagined. Apples are so much more than that though. We’re no strangers to incorporating them into every meal of the day. Breakfast, lunch, dinner– even snacks and desserts. Apples are a treasure trove when it comes to recipes they’re made for. Take Breakfast for example, we love a good Caramel Apple Stuffed Waffle. Or even a Healthy Applesauce & Oat Muffin. Lunch? Well, I’m gonna have to recommend the Apple, Red Onion, & Cheddar Panini on Naan Bread. Or if you’re looking for something ‘greener’ the Spinach, White Cheddar, Apple Salad with Nuts, Berries & A Honey Cider Vinaigrette. Dinner’s a no brainer- Pan Fried Chicken with Apple Cider Gravy or the equally easy Sausage, Apple, And Herb Sheet Pan Supper. Snack or Dessert, a yummy Apple Pie Taquito or a thick slice of Apple Walnut Bread both fit the bill nicely. So it totally felt appropriate that we should end this year’s Apple Week with a recipe that could and should be enjoyed for any meal of the day. It’s a meal for the people, whatever their craving may be. 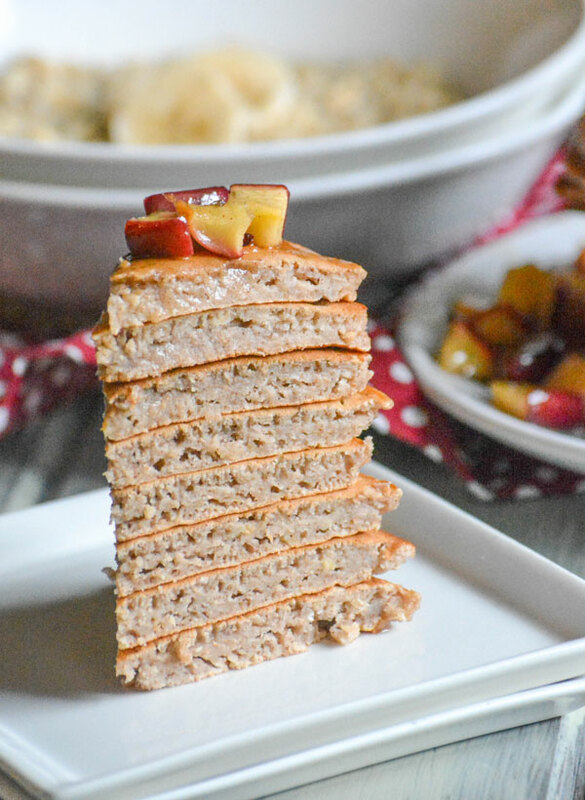 It is called Apple Pie Pancakes, and it is a meal for the ages. All ages! Moist and fluffy pancakes tasting, and smelling, lightly of cinnamon, nutmeg, and clove are piled high in stacks. Meanwhile diced apples are sauteed in a simple sauce of butter and brown sugar, creating the perfect simple syrup with soft apples spread lovingly over the stacks and dripping lazily down the sides. 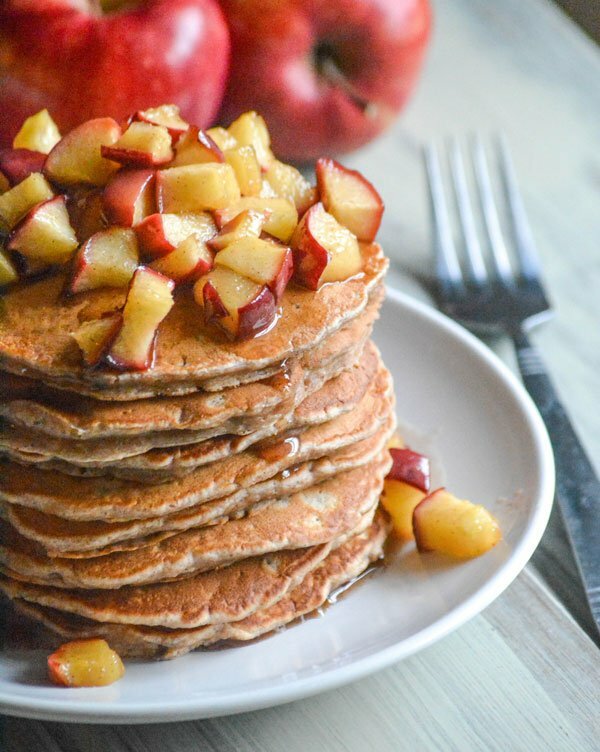 It creates such a pretty picture, you almost don’t want to cut into these lovely Apple Pie Pancakes. Almost. 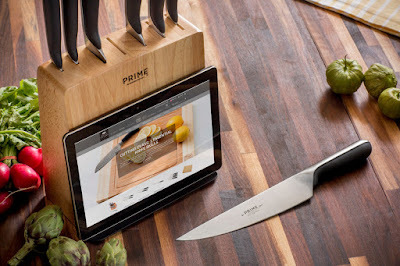 In the end, you’ll end up cutting into your stack just fine. Because let’s be real, it’s that, or dive face first into the plateful. Whether you choose to enjoy them for the first meal of the day or the last, they’re the best way to enjoy a sweet apple treat. Apple Pie ain’t just for dessert anymore, folks! 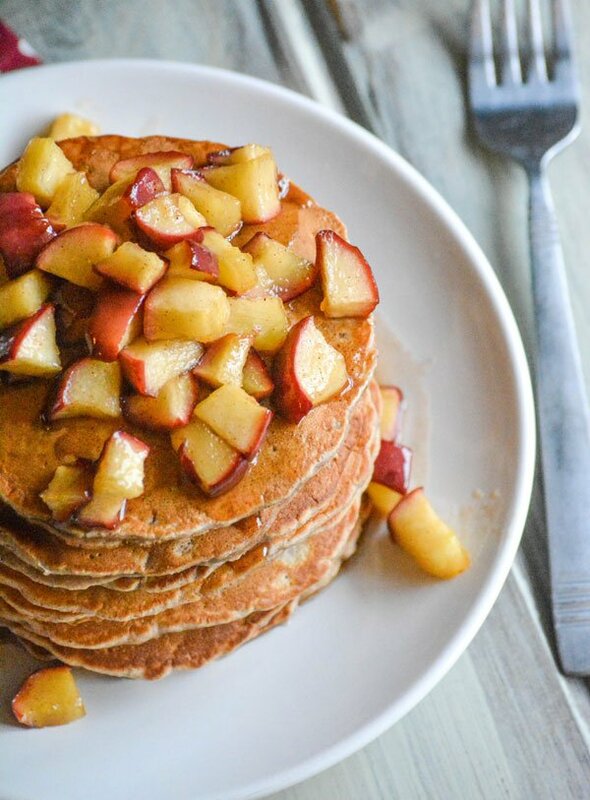 Warm fluffy Fall flavored pancake stacks are topped with an easy simple syrup made with sauteed apples. In the bowl of a stand mixer add the flour, brown sugar, baking powder, cinnamon, nutmeg, clove, & salt. 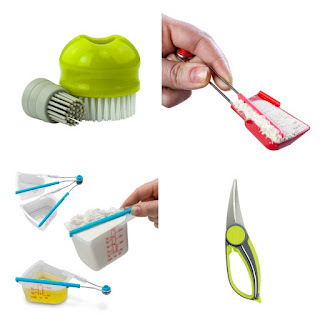 Whisk them together on low speed, until evenly combined. In a medium bowl, whisk together the milk, egg, butter, & vanilla until smooth. Heat a large skillet over medium heat and treat with non stick spray or butter. While the skillet is heating, whisk the wet ingredients into the dry, JUST until mixed. Don't over mix, small lumps are normal. Fold in the apple. Scoop a 1/4 cup of batter on the skillet for each pancake, Cook until small bubbles form on the surface of the pancake, about 2-3 minutes. Carefully flip the pancake, and cook until the underside is golden brown too. Repeat until all the pancakes have been cooked. In a small skillet, stir together the applies, brown sugar, sugar, butter and cinnamon until combined. Cook over medium heat, stirring occasionally, until the apples have gone soft, about 5-7 minutes. 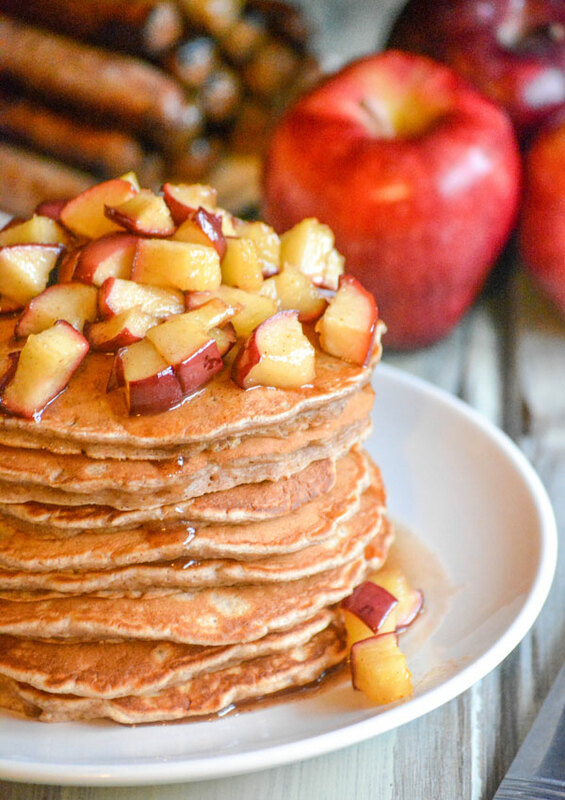 Serve the warm pancakes in stacks, topped with the apple syrup. Don’t forget today’s the LAST day to enter to WIN one of these fabulous prizes!! Ok, now I’m drooling all over my laptop. I’m coming to your house for breakfast! Thank you for bringing another delicious fall dish to Fiesta Friday this week. The pancakes look amazing! Happy FF again! I make a similar pancake but I add bacon. 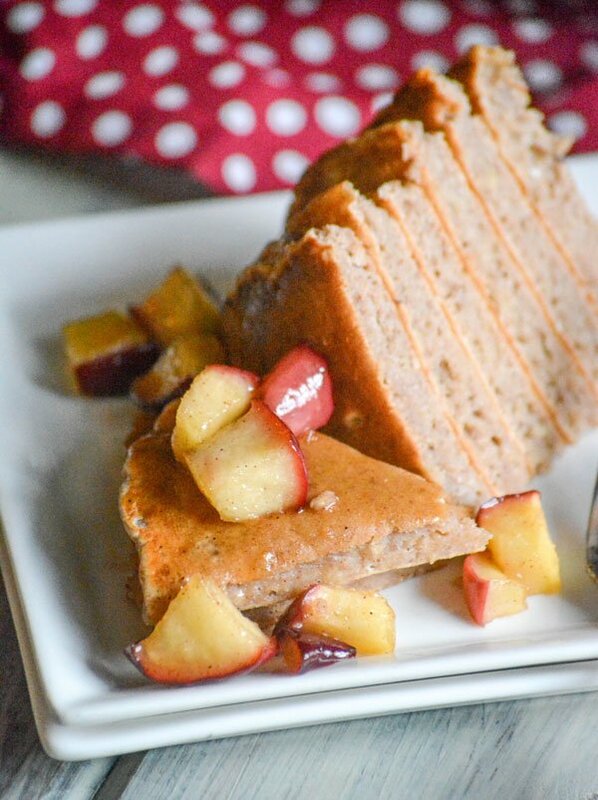 Pancakes are a favorite all year long and apple pie pancakes are perfect for the Fall. Thanks for sharing with Fiesta Friday. 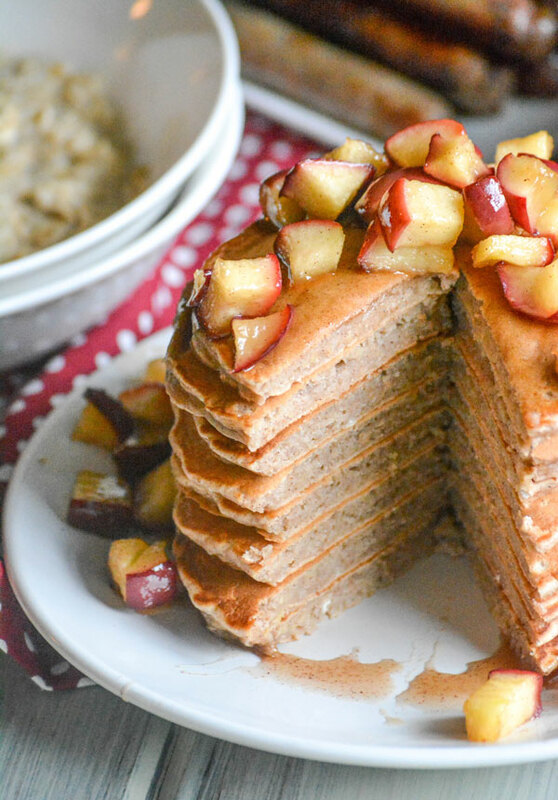 We do breakfast for dinner quite often, can’t wait to try these beautiful apple pie pancakes! Isn’t breakfast for dinner the best? ?